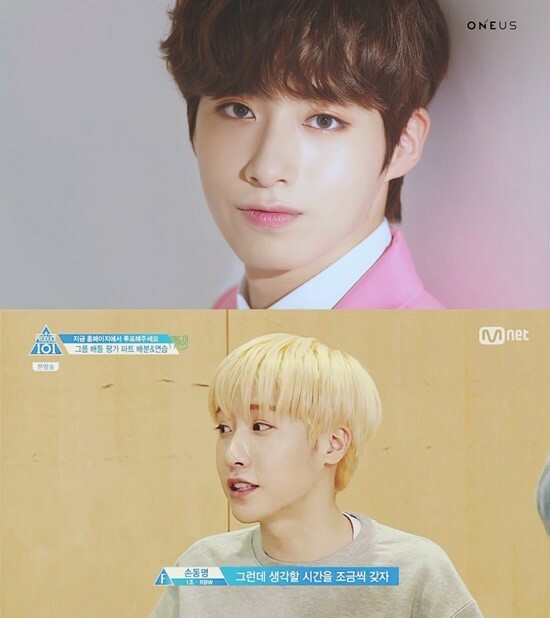 Xion, member of idol boy group ONEUS and Dongmyeong of ONEWE are brothers. Xion took his first step in music industry by the release of the debut album ‘LIGHT US’ of ONEUS on the 9th of the month. During the showcase in celebration of the debut album of ONEUS, Xion said, “after the practice yesterday, there was vitamins, pain reliever in case of headache, and a perfume on my bed, prepared by my brother. He even called me while I was in the waiting room saying ‘I’m supporting for you so don’t worry. I’m even nervous for you so don’t get nervous and just show off what you got’ and he also sent me wreath”. On the other hand, Dongmyeong joined the competition of the survival program of Mnet ‘Produce 101’, however, he failed to debut since he couldn’t make it to the final 11 candidates. Currently he belongs to the group ONEWE, which is about to launch by RBW.